Then there was the year when the speaker was driving home the point that marriage was good and that the young people in our church should get married. Our son was only too glad to agree. He’d had his girl picked out for years, but he was still trying to finish up his schooling. He was pretty dejected after one particular talk. That discouragement ended before camp was over. His future bride’s parents took him aside and told him he could start courting her later that summer,before he was completely finished with his senior year of college. By the next family camp, they were married. But God has made us all part of one Body, His body, the Church. And that body isimportant when it comes to helping our children marry well. First, believing children need to marry believing spouses. Those believers are part of Christ’s body, the Church. Potential spouses for our children areinside the church community. 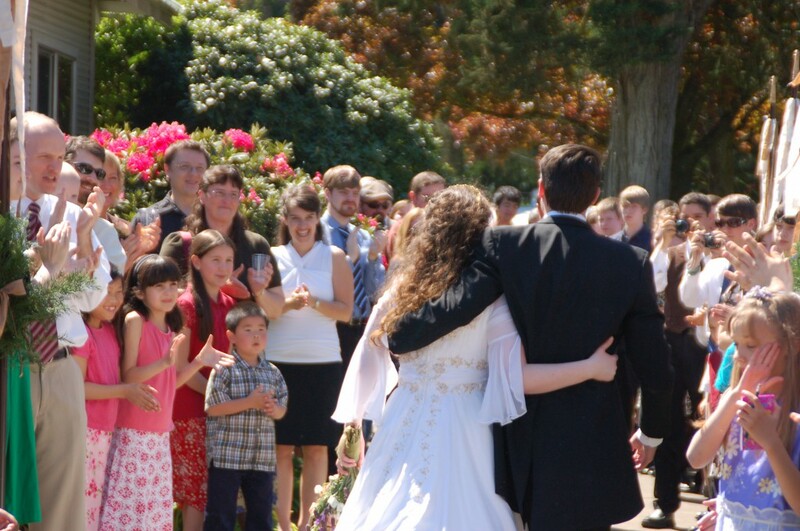 The Christian community will be a source of counsel and encouragementafter our children marry. If we are fully committed to a local body of believers as we raise our children, they will be much more likely to continue on in the church when they marry and start their own households.